There are baptismal fonts and then there is the font in the little church at Kirchtimke, near Steinfeld, Niedersachsen, Germany. 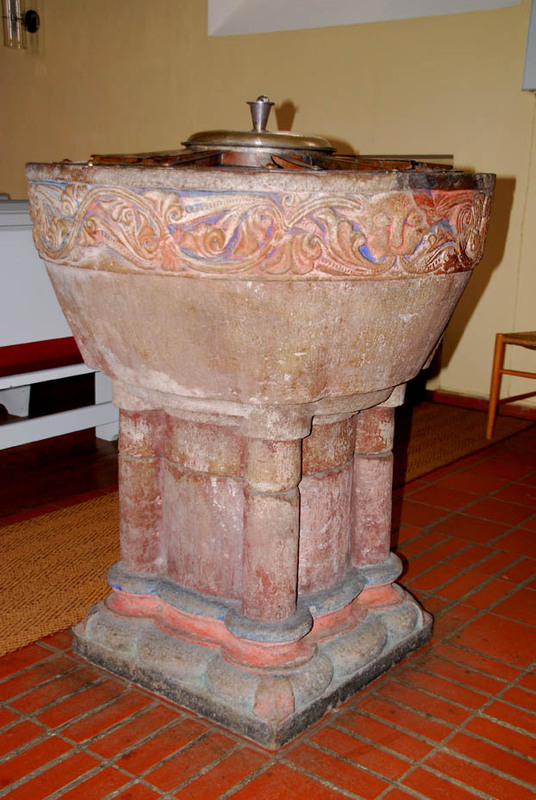 While the church is older than most in America, having been built in 1739, the font is truly spectacular. 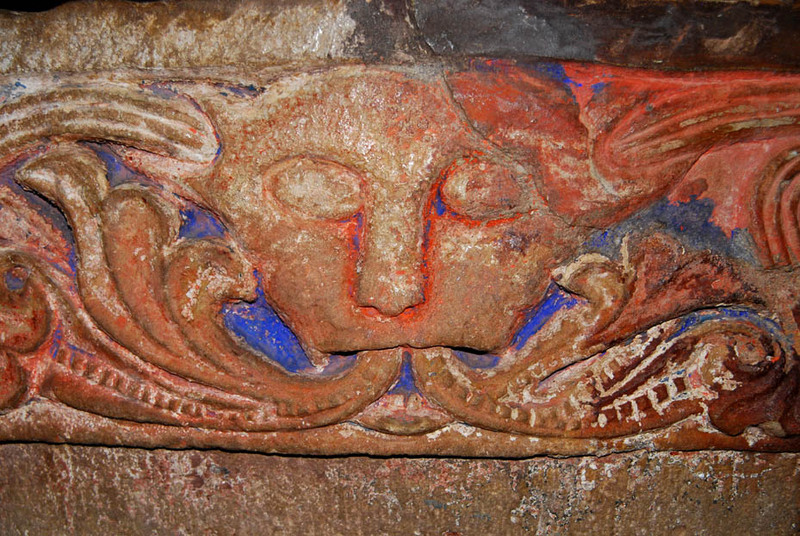 It is Romanesque and dates back at least 1,000 years. 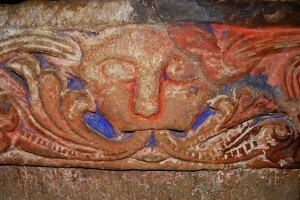 That means it was there before even the predecessor to the current church was built in the 1300s. 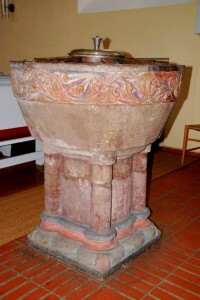 The font is large, standing about four feet tall and it is about three feet in diameter. It is hugely heavy, one cannot even begin to budge it. 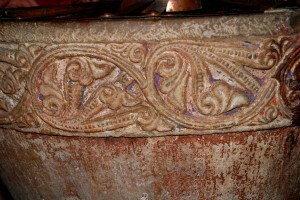 There are intricate carvings around the top of the octagon and at the bottom as well. 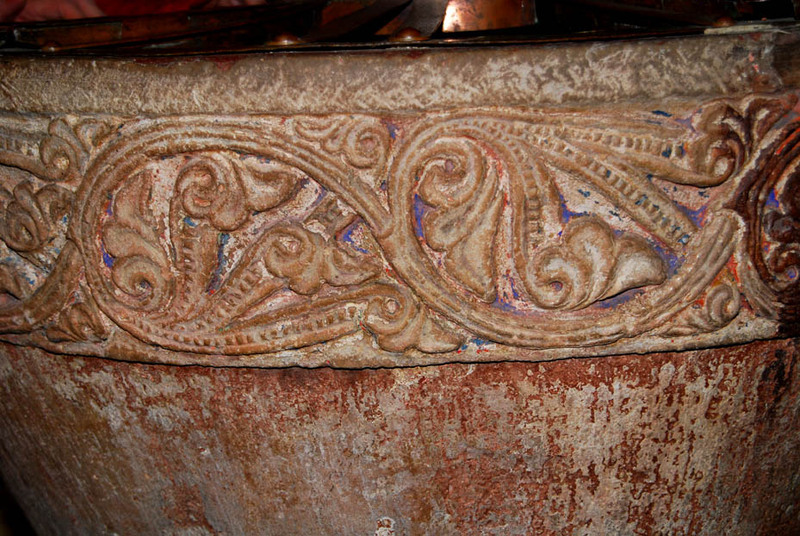 Traces of color can be seen here and there. It must have been a very colorful piece when it was new. 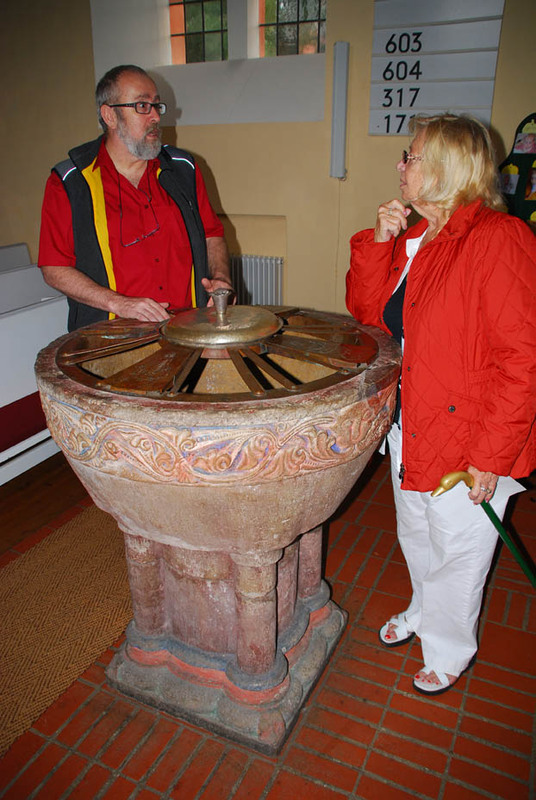 Posted in Family History Tours and tagged church, family, font, genealogic, genealogy, history, kirchtimke, petit, romanesque.